Sylist Jasmine Meadows-Birch asked her also-stylist friend Kelly Woodford to give her pizza hair. 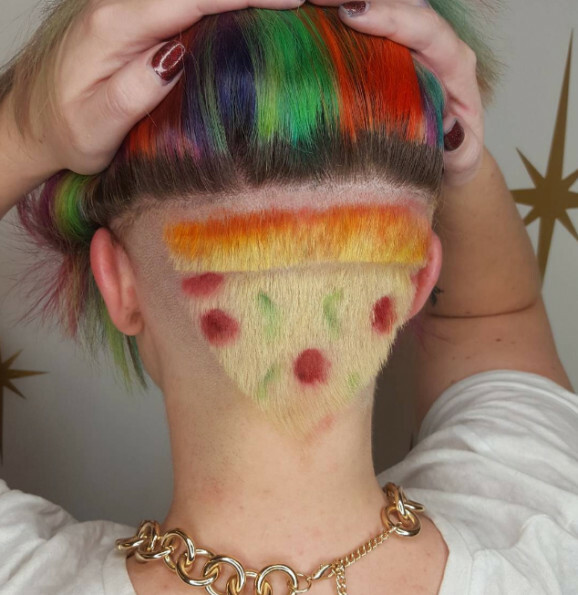 This is the result: a pizza hair head shave. Isn’t it glorious? The ‘do can also be completely hidden if she lets her hair down. Why would someone want to hide such perfection? I don’t know! I honestly can not think of a single reason.